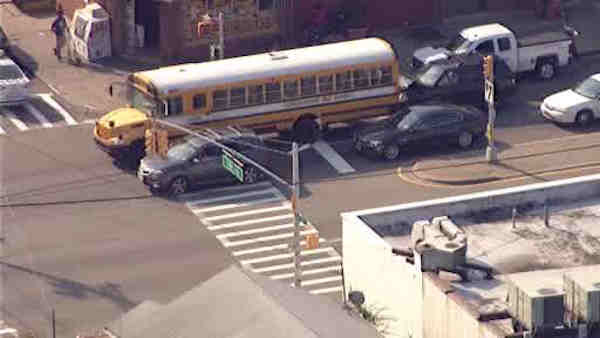 ST. ALBANS, Queens (WABC) -- A car and school bus collided in St Albans, Queens, Wednesday morning. The driver of the car sustained unknown injuries. The crash occurred at 131st Avenue and Springfield Boulevard in Queens. There were students on the bus but no injuries have been reported. They are being transferred to another bus. The accident occurred at 7:47 a.m.